Historically, grain marketing and profitability has been a challenge that requires balancing volumetric risks from weather with the ever volatile commodity prices. If one examines the changing marketplace, technology has driven grain productivity to unimagined levels. Yet grain marketing techniques and sophistication are also expanding at a rapid pace. 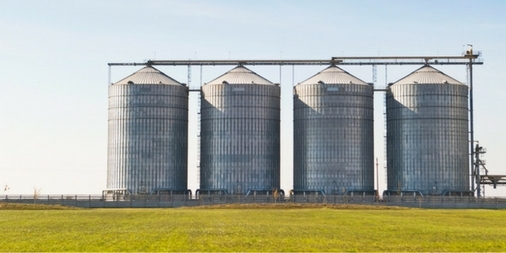 The agribusiness world is evolving into a new and dynamic marketplace where the understanding and execution of solid risk management practices will become a necessary process for every grain producer. What does risk management actually mean? It certainly is not speculating in the futures market as many do. Risk management is the practice of identifying and controlling favourable prices and margins in a timely and efficient manner. The objective is to achieve certainty in favourable prices, not necessarily to predict price movement. Weather, war and world economies can each provide unforeseen price movement that must be contained. The producer’s goal should be simply to control profitable margins. To control margins, a producer should start by collecting timely production costs and pricing data in a manageable form. Current and accurate data is a powerful tool. Only then can a producer strategically evaluate prices and strategies that accomplish financial goals. Data should contain all input costs including the current mark-to-market positions on volatile fertilizer and fuels exposure. The output data on expected yields along with mark-to-market prices on hedged and un-hedged crops will allow the producer to constantly evaluate and proactively manage price risk. Having a system to accurately collect and view this data is a crucial cornerstone of an improved marketing program. The next step would be to develop a proactive pricing plan. In a quieter moment, a producer should examine and stipulate multiple quantitative margin triggers. These triggers could be based on a farm’s historically attractive margins or could be designed to protect a breakeven margin on rented land. Again, to accurately project these numbers, the producer will need to collect and have production and market data in a workable form. Once gathered, many questions can be answered immediately. What is my breakeven margin? What is my expected margin per acre? What are my volumetric risks and what quantity do I feel comfortable hedging prior to the growing season? How much do I want to hedge prior to harvest? Lastly, with prices so high, how much should I now hedge of next year’s crop? Being proactive with these favourable prices can pay dividends. After pricing triggers are established, the farmer must have the courage and discipline to follow the game plan. Too many times the producer is unduly influenced by adverse near term market news and may deviate from what is needed. A well-thought out, predetermined price plan helps to avoid emotional decisions. How does a producer execute a pricing plan? There are several avenues to consider. Traditionally, the easiest method is selling/pricing crops at a flat price with the local elevator that offers the most competitive price. The farmer should also understand and manage local basis as a part of the overall pricing plan and lock in the futures/board price (through the elevator if preferred) separately. Additionally, the farmer can incorporate financial positions in the futures or options markets. However, these financial positions will only be a temporary substitute for a physical cash position to be sold at a later date. Remember, these are not speculative trading tools for the producer. Should a producer price his crops in the cash market, the futures market, or use options? Which one of these tools is better? This question is similar to asking if a hammer is always preferred over a screwdriver. No one method is the best all the time. However, the more tools a producer has at their disposal, the more alternatives to match the appropriate tool to the current market conditions and their farm’s risk tolerance. Regarding financial alternatives, using basic options strategies can provide “price insurance” for a producer who may not necessarily feel comfortable with futures markets. Option strategies can be helpful for all farmers when the price is attractive, but especially when there are concerns over the volumes of production (i.e. weather impacts). It is important to note that all futures and options trading involves substantial risk of loss and therefore may not be suitable for all investors. A producer should consult their account representative to ensure that trading is appropriate for their scenario. With farm data and market prices in a workable form, crop profitability can be more easily managed throughout the year, and a more informed decision can be made on what crop to plant based on competitive market prices. Additionally, cash market values can now be used to dictate storage decisions. The producer can actually track and execute storage decisions based on profitability. Canadian agriculture is changing in many ways. A high priced and volatile environment has rightfully renewed interest in developing a more sophisticated approach to marketing. At the same time, technological advances have made the use of computer software to track and even execute marketing strategies a reality that will soon be a necessity. The growth in productivity of the farming community has been exponential on the production side. Now is the time and opportunity for further increases in productivity to come from the many advances in marketing strategies and technologies mentioned here. This story was originally published in Canola Digest, November 2012 (PDF). Know-Risk Crop Marketing Services help growers protect their farm business’ margins. Know-Risk also includes My Farm Manager web software that tracks farm costs, market positions, and more.